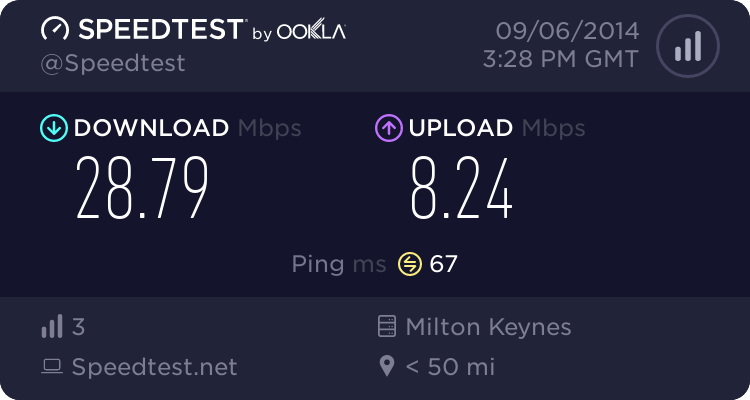 If this happens with my mine then I'll be requesting the £50 new line charge back from Plusnet. Are we expected to return the hardware, e.g. Cellpipe thingy, or do we keep it as part of the contract? I suppose the biggest problem will be if the line is tagged ... I assume lines are not tagged on bt when they are on DRL ? Is there any way to find out ? I assume in terms of kit they will not be interested in collecting it as it will cost them to dispose of . I can confirm both of the people I knew with DRL connections until last year are still in possession of their Cellpipes. I still have my Zyxel from LBO/Chess. Left them about five months ago. I thought slamming was when the customer's permission had not been given? 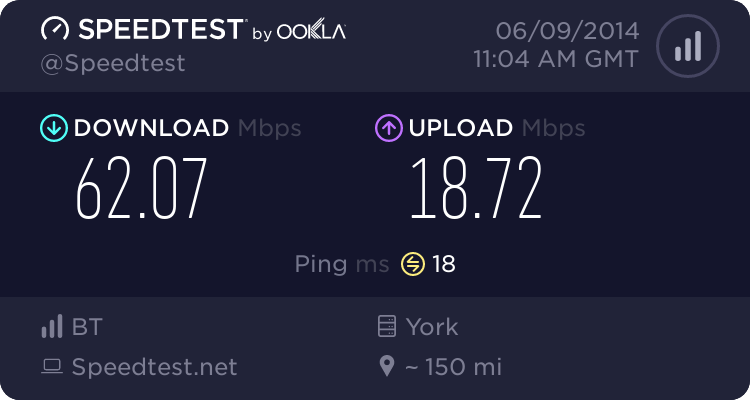 77Mb down and 19Mb up however so happy days. Its a little unclear to me what people are referring to here. When you say "new line" are you referring to taking up a second line BEFORE disconnecting the old one, or a disconnect / re-provide? There is a distinct difference as if you ask for a new (second) line and they instead use your existing one then that is obviously not right as you are paying for TWO lines. However, if you asked for a disconnect/re-provide or they fitted a second socket using your EXISTING wiring (the spare pair) they are well within their right to charge it as a new line. You have to remember, a new line does not refer to the actual cabling, it refers to the process of an engineer commissioning a port at the exchange. How they actually physically wire that to your property is at their discretion. By all means complain, but they are certainly not obligated to refund the charge.